Last May, about thirty students of social education from the University of Barcelona participated in an educational workshop based on the game SmileUrbo. The event took place in the practical part of the course called Education for Development and Cooperation. The aim was to enable young people to experience firsthand problems of developing communities. 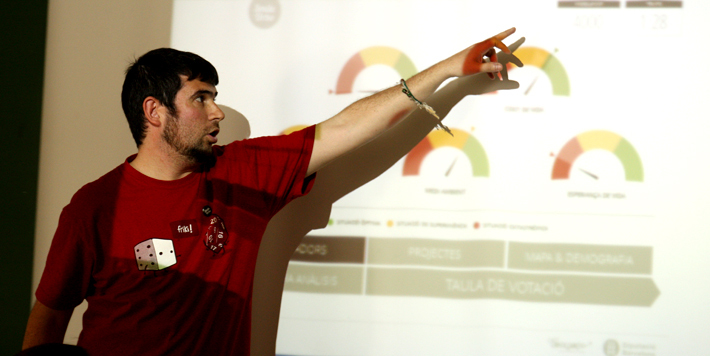 Through the challenges proposed by the game, the students had to seek solutions in order to achieve sustainable human, economic and environmental development. The workshop was held by Smilemundo’s team, and Frikigames Association, which is an organization that promotes the culture of the game as a tool for social inclusion. The participants were very satisfied with the training they received and appreciated the game SmileUrbo (an average of 8.5 points out of 10). “To test the skills of working together actively and become aware of consequences of your choices for the entire community”.